So you can be free to do the work you are here to do and love doing and create the WHOLE LIFE you desire. You have heard the saying money is power and money is the root of all evil. If you look around, you can see a culture obsessed with making money and having more. And if you are like most people in the world, money has been a source of both success and also suffering and stress. And often usually the latter. Why is money the source of so much stress? The systems we live in are set up to keep us trapped in these unsustainable realties and repeating patterns. Even for people with lots of $ in their bank accounts, the heart and soul is often bankrupt. Or no matter how hard they work, how much money they make, there’s never enough. How we have been taught to think about money, wealth and financial flow is messed up, and it’s what keeps us tied into ways of working, living and relating that keep us weighed down, trapped, and striving. Most people just have no idea of what is driving them at a root level, in their heart. We have not been given the wisdom – the feminine wisdom – about how to work with wealth in a way that creates REAL wealth, the kind that makes you feel on the inside content, secure and seen no matter how much $ is in the bank. The kind of REAL wealth that actually leads to creating the meaningful career, life and relationships you desire. 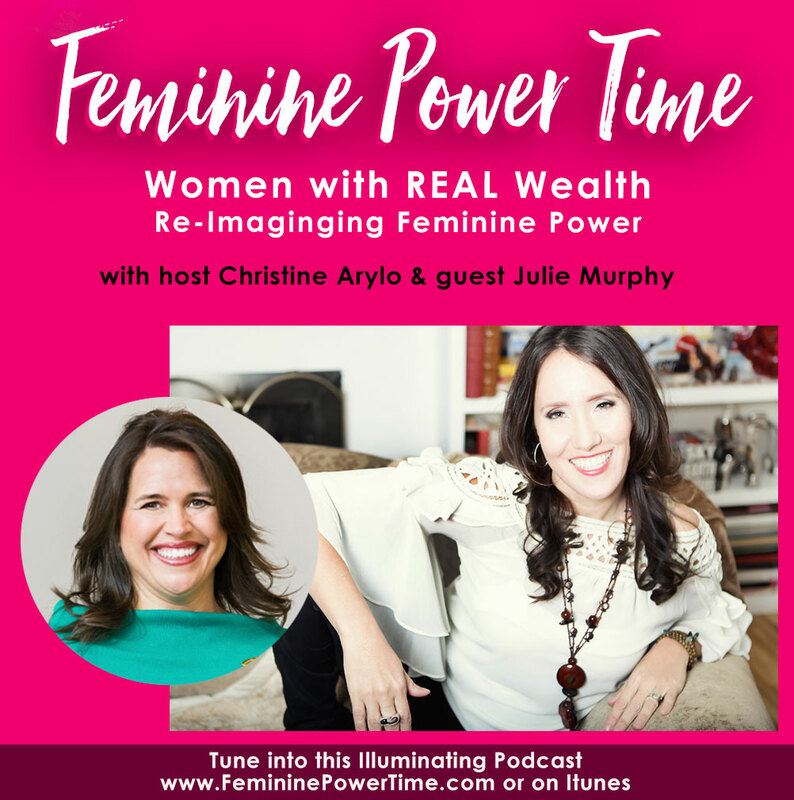 Which is why I invited a dear friend, and my personal wealth advisor, Julie Murphy, author of Awaken Your Wealth to kick off our 3 part series at Feminine Power Time on Re-Imagining Feminine Power starting with Women With Wealth. for how we work, set up our lives, value our time. 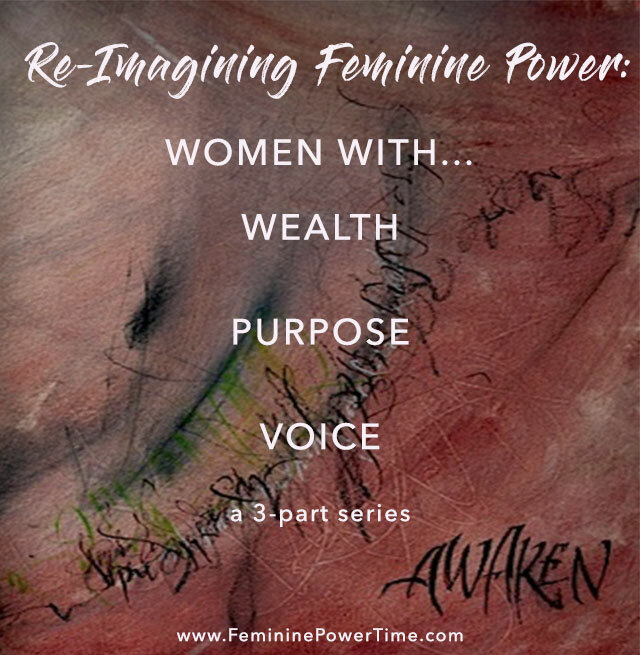 I decided to start with Women with Real Wealth because when our physical foundation is strong – which includes our wealth, financial flow and reserves – we are so much more able to actualize ourselves in our work and able to show up open hearted and generous in our relationships. Wealth and money is also where a lot of the shame, sabotaging patterns, and distortions of power live in our bodies, hearts and minds. So join me and Julie for an expansive and real conversation about how the empowered way women embody wealth. THE ARCHETYPES THAT MAKE YOUR FINANCIAL DECISIONS – The 5 types of financial archetypes that drive your economic choices – that keep you stuck in sabotaging patterns vs. real wealth. FINANCIAL FREEDOM & INDEPENDENCE – What is financial freedom really? And how to cultivate it so it gives you what you truly desire. THE ROLE MONEY PLAYS IN DESIGNING THE REALITY WE DESIRE – Shift the role of money and wealth into one of self empowerment vs. self judgment or subconscious patterns so you can more powerfully create the reality you desire for yourself, your work, those you love and lead. It’s going to be a juicy conversation. 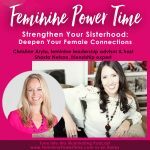 ** Please leave a review for Feminine Power Time on Itunes. Means alot to me and other potential listeners. 1. 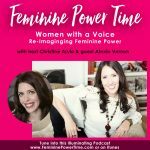 Go to the ITUNES Feminine Power Time page. 2. Hit view in Itunes. 3. Then go to Reviews and leave a review. 4. Share with a friend and talk about it! https://www.juliemurphy.com/home – Get connected and notified when her book, Awaken Your Wealth, is available in Paperback. Error: Error validating access token: Session has expired on Friday, 19-Apr-19 12:24:14 PDT. The current time is Thursday, 25-Apr-19 11:02:05 PDT.